If you are experiencing a dental emergency, you want to know that you can receive the care you need, when you need it. Fortunately, there are emergency dentists in Montgomery who are available and ready to help provide you with the pain relief you need. Emergency Dentists USA is proud to be able to provide you with a list of Montgomery emergency dentists that have convenient hours and will perform the procedure you need. Tooth pain can ruin your life and cause you to spend most of your time taking over-the-counter pain relievers and laying in bed. Before you simply accept this is the way your life will be, browse through the emergency dentist listings in Montgomery below. You will be able to quickly identify which options offer 24-hour services and which offices are open after hours to ensure you are treated quickly. Together, we can get your pain relieved and you back to living life the way you want. Once you have determined that the pain you feel in your mouth is not going to go away, you may be on the hunt for an emergency dentist in Montgomery. Unfortunately, there are many dental offices in the area, but many of them close promptly at 4:00 or 5:00 pm. This does not leave you with many options and you may be forced to deal with your dental pain until you can find a dentist that is open late enough or you can take time off work. There are a variety of dental options available to you in the Montgomery area and you can receive the immediate care you need. Emergency dentists work quickly and safely to eliminate the pain you feel and they will perform the procedures you need. Montgomery has many options for dental providers and they will be able to see you and provide you with the care you need. You will find that there are after hours’ options and some of those offices do not close until 7:00 pm. This provides you with enough time to see the dentist even if you cannot get off work early to do so. After hour clinics are ideal for patients who have moderate dental problems and need to be seen quickly. If you are experiencing any type of tooth, jaw joint, or mouth pain, the only thing you want to do is make it disappear for good. No matter how severe the pain is, it will interfere in your life and either cause you to miss out on social events or it will cause you to miss out on eating your favorite foods. If you are in pain, the last thing you want to do is spend hours on end trying to track down a dental office that will see you. Fortunately, Emergency Dentists USA has done the hard work for you and all you must do is look at the list of Montgomery emergency dentists below. Once you find one that suits your needs, call them, and schedule an appointment to receive care. DescriptionYour stay in Alabama does not have to be cut short by unbearable dental pain. If you or anyone in your family experiences what may be an abscess or infection, make sure that you call our hotline to get an experiened after hours dental pro on the double, and get back to enjoying your stay in Montgomery. You can get emergency dental help in Alabama fast. 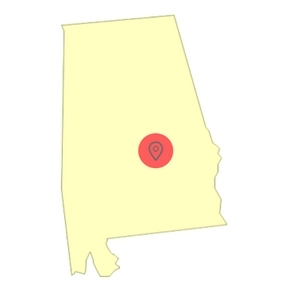 The good doctor has been practicing in Greater Montgomery region for over 15 years and with his wealth of dentistry skills and experiences in areas such as a veneers, fillings, extractions, and all facets of oral health, you would be dealing with a highly competent dentist. His office is located to also provide emergency dental care for Montgomery, Prattville, Millbrook, Wetumpka, and Blue Ridge patients. While no one wants a root canal or have to get treatment for an infection of the tooth, if it needs to be done it is best to have someone well grounded in the field attend to your case. 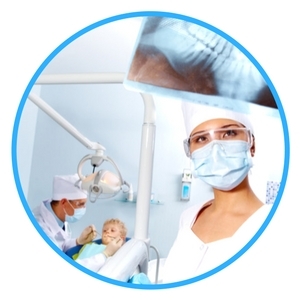 If you come upon a dental emergency clinic in Montgomery, AL that can accommodate you on a Saturday or even a Sunday, then you may have come across this group. With their team of four dentists serving the River Region area, they are exceptionally well equipped to perform all types of dental restorations such as onlay and inlay restorations, dental implants, composite fillings, crowns, dentures & partial dentures, fixed bridges, and root canal therapy. They are encouraging new patients with emergencies to reach out to them and with their sizable and experienced staff, you will likely be in the best of hands. Dr. Killian Horner, the dentist at this facility, wants you to know that if you are plagued with an emergency situation, call first so they can modify the schedule to address your situation as may be appropriate. For over 25 years the office has been handling a wide assortment of dentistry matters and with a focus on delivering modern care, they underscore their place as a gatekeeper for those in need. When you call to schedule an appointment for emergency dental care in Montgomery, you should inquire about the cost of the appointment, accepted payment methods, and what insurance policies are accepted. If you do not know what type of procedure you need to have performed, you should ask for a generalized price list, so you know what the lowest and highest price for an appointment could be. Many dental providers, emergency included, will either require payment up front or as soon as the procedure is performed, so you must be prepared. If you have never been to the dental provider you choose, you should arrive about 10 minutes early to fill out paperwork. The paperwork will ask you basic questions about your health and dental history. This information will be used by the dentist to provide you with the proper care needed. If you have been to the chosen provider before, you will not need to fill out new paperwork, but you will need to verify the information on file. If you suffer from any allergies, you should inform the dentist and staff to ensure your safety. In addition, if you suffer from dental anxiety, let the dentist know as many of them do have sedation options available to patients. Does your mouth hurt? Do you have a tooth that aches bad? If so, it is time for you to get in touch with a qualified Montgomery emergency dentist. There are many dental emergencies that can arise in your mouth and each one can cause a different level of pain depending on its severity. 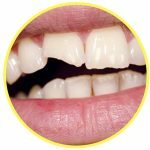 Some dental emergencies do form overnight or instantly while others take time to form and appear. If you are in pain, you do not want to delay care and should look for a Montgomery emergency dentist immediately. Forgoing or delaying care can mean that your condition worsens and causes you even more pain. 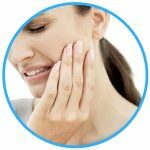 Reading any of the advice provided to you here on emergencydentistsusa.com should be used for informational purposes only. This site is not intended to replace the advice of a medical professional. If you are experiencing any type of dental emergency or have one of the below listed problems, call a Montgomery emergency dentist immediately. If you have an emergency toothache, you may be suffering from one of several conditions that can occur. The most common reason for a toothache is due to tooth decay, but you may simply just have something stuck in between your teeth. If you think that you have an object caught in between your teeth, do not use a sharp object to dig it out, as this can cause you more pain or you may injure yourself in the process. If you do have a toothache, swish some warm saltwater around in your mouth. You can take a pain reliever such as Tylenol to help alleviate some of the pain you are feeling. You should take a moment to call your local Montgomery emergency dentist immediately. 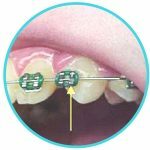 If you have loose wires from your braces in your mouth, you may experience some pain, as they can have sharp edges. The first thing you want to do is try to take a pencil and use the eraser end to push the wire away from your gums or cheek. If this does not work, you should place a piece of dental wax over the sharp edge. You do not want to cut the wires on your own, as this can become dangerous if you swallow the cut piece. Call your local emergency dentist in Montgomery today. If you have chipped your tooth, try to recover all the pieces and set them to the side. You will want to focus on your tooth and the pain right now. If you are in pain, take an over-the-counter pain reliever, such as Tylenol. You can also place a cold compress on the exterior of the mouth where the injury occurred. If the site is bleeding, place a most piece of gauze over the bleeding area and press down firmly for 10 minutes. If you have chipped your tooth, call your local Montgomery emergency dentist. Patients who have had an emergency extraction performed usually only need one or two days to recover from the extraction. It is important for you to follow all the aftercare instructions provided to you from your emergency dentist and take all prescribed medications. Depending on the extraction, you may or may not be prescribed pain relievers. Patients who are experiencing a dental emergency often think that they need to head to the emergency room to receive care, but this is not always the best place for them to go. In fact, the emergency room is not equipped to handle dental emergencies and the doctors on staff cannot perform dental procedures. Therefore, if you go to the ER, you will not receive the procedure you need. Instead, the doctors will look over your tooth to ensure the situation is not severe and then send you home with medication if needed, until you can see your dentist. You would be better served by a Montgomery emergency dentist. These dentists work around the clock, in most cases, to provide you with the care you need. They are prepared to handle all emergencies and perform procedures on site. There are times that you may experience an emergency involving your teeth and you should still head to the ER. Some of these instances include when you break your jaw, suffer a head injury, or have fallen or been in an accident. Emergency Dentists USA is a website that should be used for informational purposes only and should never be used to replace the advice from a medical professional. If you are in pain and cannot reach an emergency dentist, you should call 911. We do recommend that you verify the licenses and credentials of any new dentist you plan to visit. You can check the Alabama State Board of Dentistry or the Board of Dental Examiners of Alabama. If you have a dental emergency and you are unable to get in touch with a Montgomery emergency dentist, call 911 or head to your local ER immediately. Emergency Dentists USA is a website designed to provide you with information only and that information should not be used to replace the advice from a medical professional.